LAKESHORE EAST – Target Group, Inc. CLIENT | Lowenberg & Associates, Inc.
Lakeshore East is a mixed-use urban development in the Loop community area just west of Navy Pier. The neighborhood will incorporate a public park, a public elementary school, a village market center, as well as high-rise and mid-rise condominium and rental buildings, and single-family park homes. Completion is projected approximately between 2015 and 2020. Phase one (1) of the project involves developing the infrastructure and creating the park, which is to be a centerpiece for the development. 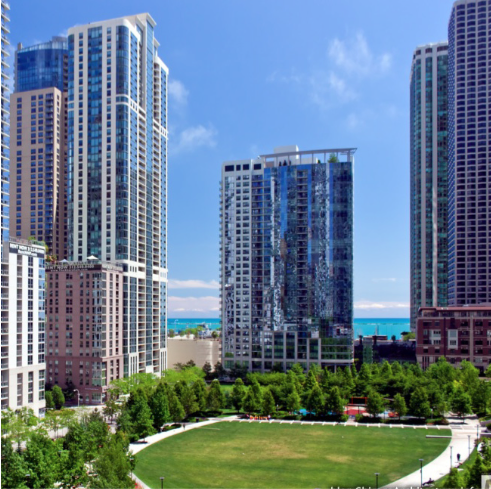 The plan, which had Adrian Smith as the design partner, calls for fourteen high-rise condominiums and two commercial office space superstructures Lakeshore East is within walking distance to the Chicago River, Lake Michigan, DuSable Harbor, Michigan Avenue, Grant Park, and Millennium Park.